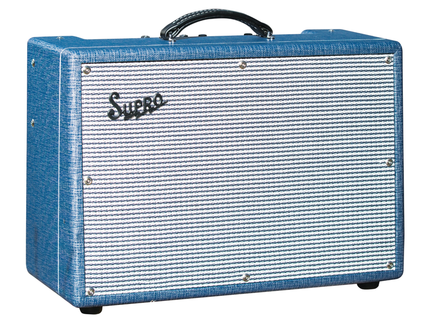 1650RT Royal Reverb, Tube Combo Guitar Amp from Supro. 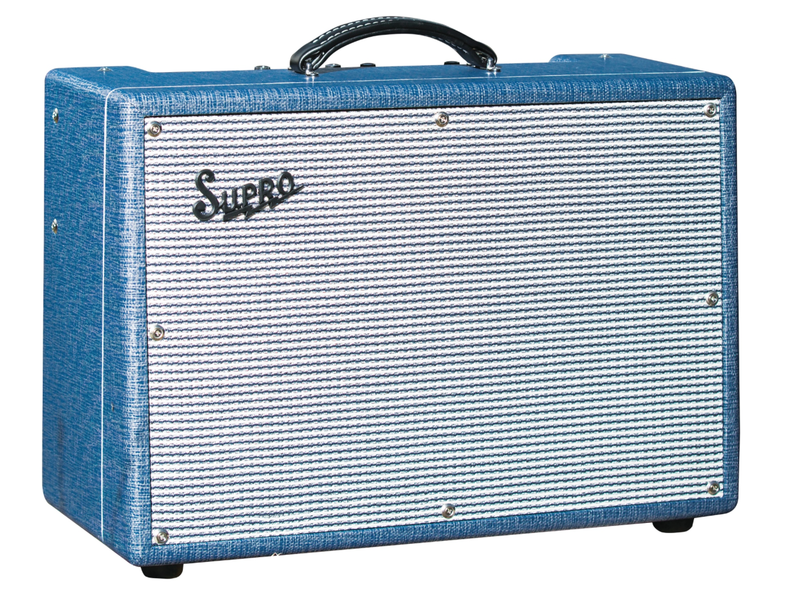 Newly reborn Supro introduces at NAMM three new guitar combos equipped with a reverb. Just like the amps launched last year for the return of the legendary american brand, the new Supro 1650RT Royal Reverb, 1648RT Saturn Reverb and 1622RT Tremo-Verb are inspired by Supro’s vintage models and are all equipped with a reverb, a new feature that was not available on the 2014 models. The three amps share a 2-band EQ, tube-driven spring reverb and tremolo. The proprietary circuit places the tremolo after the reverb, which allows for creating an ethereal effect with amplitude modulation, something unique to the manufacturer. All the amps have an all-tube design, host US-designed speakers and feature a Blue Rhino Hide tolex finish. The 1650RT Royal Reverb is a 2x10” combo with a punchy sound and lots of headroom. The 6L6 power stage can be configured in Class A or A/B and outputs either 35, 45 or 60W. You can choose between solid-state or 5U4 tube rectifier circuits. Pricing is $1,499. The 1648RT Saturn Reverb host a single 12” speaker and share the same Class A circuit as the Supro Dual-Tone series (6973 valves), but its power was reduced to 15W with the use of a 5U4 rectifier tube. Price of this model is $1,399. The 1622RT Tremo-Verb is a compact 1x10” model with 6973 tubes, a Class A circuit and 25W of power. It will be available for $1,299. More info soon at suprousa.com. [NAMM][VIDEO] Kemper Profiler Remote Kemper will add this year a footswitch for its Profiler amp range. They also announced an update for the amps. [NAMM] Bugera T5 Infinium mini head Among the new products Bugera introduces at NAMM 2015, we find a mini 5W guitar amp head equipped with the Infinium technology. [NAMM][VIDEO] Diamond Amplification 327SD Michael Soldano did not release an amp of his own this year, but he added his name and sound to a Diamond Amplification model.